Google Earth is a cross-platform program that lets you fly virtually to any spot on the earth to view satellite imagery of countries, cities, maps, terrain, oceans, 3D buildings, and even outer space can be viewed from this program. Log out and log in back, then start Google Earth from the Menu. 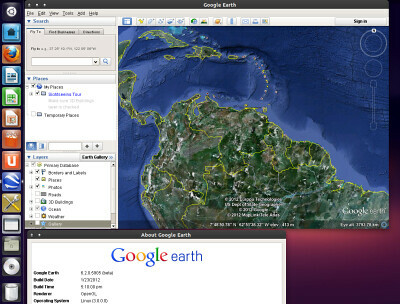 5 comments to ''Install Google Earth on Ubuntu 12.04-11.10-Linux Mint"
Directions worked perfectly. Very straight fwd thanks!